: This fly box is handcrafted from solid highly figured mountain walnut for us in Serbia. It comes with foam fitted on one side and an extra sheet of foam should you wish to make it double sided. It comes with solid brass hinges and catch to resist corrosion and is finished with natural beeswax. This is the ideal gift for the fly fisherman who thinks he has everything. : This is a well proven box that has been around for over 15 years, it is lightweight and compact, is foam lined on both sides for added capacity, it has an easy-open secure latch, measures 7” x 3.5” x 1” which means it will fit in just about any waistcoat pocket, inside wader pocket or even the back pocket of your jeans. There is plenty of room inside to easily accommodate a couple of dozen or more standard bass flies or up to a dozen of the largest bunny bugs. Very reasonably priced and a top piece of highly recommended American kit. 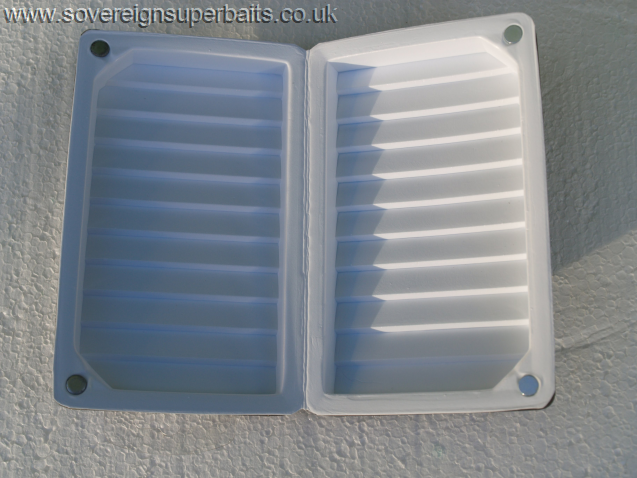 : are available in two sizes and are designed to accommodate the meatiest of flies featuring interlocking friction foam which consists of rows of interlocking foam that securely holds the flies between the rows using friction without the need for the hook to penetrate the foam which of course makes the box last much longer. The larger of the two boxes measures 14” x 10 1/4” x 3 3/8 “, the smaller of the two boxes measures 10 1/2” x 8 1/4” x 3”. The box is secured by two side latches and has a comfortable carry handle which can also be attached to your vest via a lanyard. 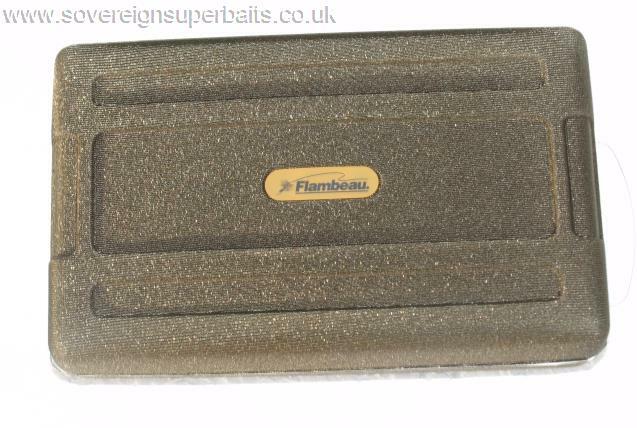 These Flambeau foam fly boxes are manufactured in the USA for the riggers of American fly fishing & to satisfy the more demanding American angler and these are definitely finding favour with the UK anglers.